You’ve done the research, you’ve tested it out, and you know the value a flight simulator could bring to your flight school and customers. But, that was the easy part. Now it’s time to make the dream a reality. How do you do it? 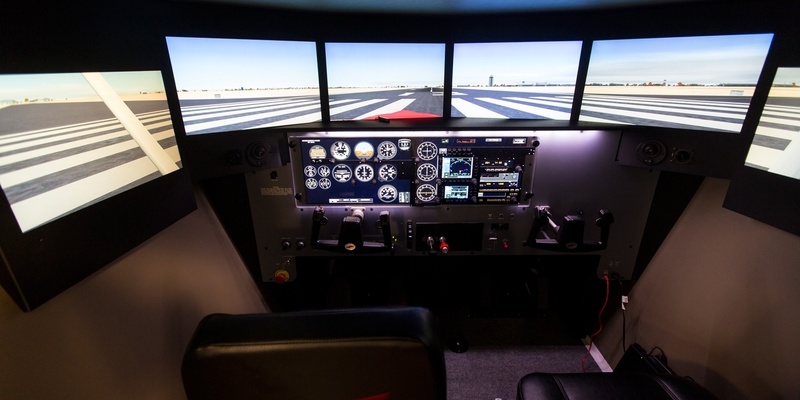 Here are 4 ways to get a Redbird Flight Simulator into your flight school. We see this happen quite often. A flight school has a need to add a cost effective training device for their students but they don't have the available capital to make an investment at that time. The school has a customer with available funds or knows someone that wants to help the school and make some money in the process. The school and the lessor work out a deal so that the school gets their training device and the lessor has a new investment. This is a great option if you have a good relationship with your bank and the bank understands how a flight simulator will help you grow your business. Any financial applications are handled between you and your bank, and then Redbird will work with the bank to schedule deposits and final payment after installation and training. Redbird Finance powered by Bank of the Ozarks will provide a quick turnaround for a quote on any amount financed over $10,000. This can be applied to any new Redbird device or upgrades to an existing device. To get a quote, contact a Redbird Sales Representative to get a one page application and a sales proposal. Send those documents to Bank of the Ozarks and they will process the loan. A pricing matrix is also available to show what your monthly payment will be based on the amount financed and the down payment. For some schools, motion is a must-have, but the price is just a little out of reach. Every once in a while, a customer will put their device up for sale on websites like Trade-A-Plane or Controller.com. Redbird will work with you to provide quotes for relocation options, equipment upgrades, or additional aircraft configurations. Redbird devices retain their value very well, thanks to post warranty service agreements. Do you still have some questions? Give Redbird a call. We can discuss these options further and talk about your ROI. Redbird Migration Brings Home the Message: Flight Training is Changing, are You?